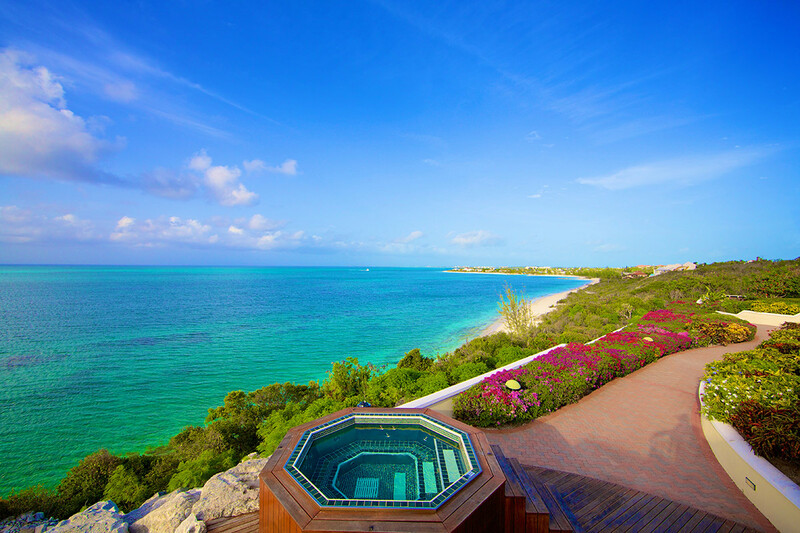 Stargazer 6 BR Villa Rental – Turks & Caicos – With the sea stretching in front and the sky stretching overhead, the views seem infinite at Stargazer. Whether you’re sunbathing on the terrace, swimming in the infinity pool, or strolling the lush gardens, this luxurious beachfront villa puts you in touch with the natural beauty of Thompson Cove on the island of Providenciales. With six bedrooms and a fully equipped guest house, it offers privacy, comfort and quiet, too. Turks & Caicos, Villa Rentals, Villas. Bookmark.